Good news: After attempting to ban the college Republican student organization for a year because the administration didn’t like its conservative views, the University of California-Irvine was confronted with so much outrage, from both the right and the left, that it has been forced to back down and reinstate the organization. The decision followed backlash from conservatives and liberals at UC Irvine and elsewhere. In addition to scathing reports from conservative and libertarian media, the President of the Holyoke College Republicans, Kassy Dillon, slammed UCI for their “insult to every College Republican across the country” in an op-ed for Breitbart. Left-wingers on campus also came out in support of their rivals’ right to free speech. In a rare display of bipartisan unity at the campus grassroots, the group for Bernie Sanders supporters at UCI issued a statement condemning the administration for “repeated mistreatment of political organizations that take part in open discourse on campus” and calling for the restoration of the College Republicans’ right to access college facilities. To me, the big news here is that the leftists on campus came to the support of the conservatives, even though they disagree on almost all issues. Freedom of speech, however, appears to be something they do, and should, agree on. Finding out what’s in it: Within three months of signing up for Obamacare more than 13%, or 1.6 million people, in 2016 have dropped coverage by not paying their premiums. Enrollment has been lower than hoped for, and customers turned out to be sicker than expected. Some major insurance companies have cut back their participation, and 13 of 23 nonprofit insurance co-ops created under the law have folded. Premiums for 2017 are expected to be significantly higher. Other than these minor details, Obamacare is wonderful! That’s why more than 1 in 10 quit paying their premiums within three months, probably because they simply can’t afford it. I wonder how many more decide to give up their health insurance as the year progresses. I suspect that by the time the open enrollment period arrives in November, the number who have dropped coverage will rise above 30% or higher. Let me add one more thing: I also suspect that many of the people who drop Obamacare do so as soon as they’ve paid their taxes. This way, they pay the premium for as little time as possible, can demonstrate to the IRS that they have insurance and thus avoid the Obamacare mandate fine (or tax, depending the day you ask the Obama administration what it is), and then avoid paying the premium for the rest of the year. It’s called gaming the system, something that happens routinely when governments try to impose unwieldy and unaffordable rules to ordinary life. 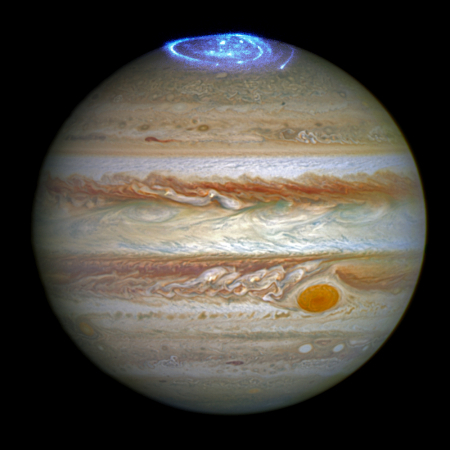 After five years of travel, Juno last Friday entered Jupiter’s gigantic and very powerful magnetic field in its approach for its July 4 orbital insertion. Meanwhile, they have uploaded to the spacecraft its final software commands for that orbital insertion. An evening pause: Performed live, July 2, 1977 at the Oakland Coliseum. It’s Thursday evening, the week is almost over! I just got banned from the NasaSpaceflight forums with this little message from little Andy. “Sorry parabolicarc, you are banned from using this forum! Please use your own site to post what your “sources” are telling you. Too many people are sick of you using this site to spread rumors. Andy. Doug is also the reporter with whom I and many other commenters at Behind the Black had a long, passioned but intelligent debate about global warming. As much as I might disagree with him on that subject, I find it baffling that any space website would ban him from commenting, especially since his reporting on space has been impeccably accurate and hard-hitting. In a sense, this ban is just another example of how too many Americans can no longer deal with debate and opposing points of view. Very sad. Doug of course is always welcome to comment here, even when he strongly disagrees with what I’ve written. The competition heats up: The expected merger of Airbus and Safran to create a rocket company called Airbus Safran Launchers is expected to be finalized today, allowing the new company to move forward in its construction of Ariane 6, designed to compete with SpaceX’s lower cost rockets. The uncertainty of science: Annual Reviews periodically publishes papers providing a detailed scientific review of the present state of knowledge in a variety of fields. They do this by collecting the papers in volumes focused on general areas of research, such as Astronomy and Astrophysics, Plant Biology, and even Sociology. As a review I found the paper quite fascinating. It provided an excellent overview of our present understanding of Mars’s climate history, information that is especially useful to me in reporting on the results from the various Martian orbiters and rovers, as it gives me a wider context and allows me to better understand and analyze each press announcement. This in turn allows me to distinguish between a real discovery of some importance and a garbage press release that is really nothing more than a sales pitch for more funding. In summary, no single mechanism is currently accepted as the cause of anomalous warming events on early Mars. The data also suggests that an ocean on Mars was unlikely, though not impossible. Instead, it appears that if any warming events occurred to produce liquid water, they were temporary and short-lived. What caused those warming events, however, remains a scientific mystery. The paper also made clear once again the complexity of climate science, and how difficult it is to develop climate models that explain the geological evidence, not just on Mars, but on Earth as well. As the paper also noted, “Just like the climate of Earth today, the ancient climate of Mars was probably complex, with multiple factors contributing to the mean surface temperature.” And like the climate of Earth, many of those multiple factors remain uncertain and poorly understood. It will be many years before we really understand how Mars got to be the way it is. Likely, to figure it out we will have to go there ourselves and poke around with our own hands. An evening pause: How about some classic American Big Band music to get us through the middle of the week? Fascist California: The Oakland city council has voted to block coal shipments through its brand new marine terminal. The Oakland city council voted unanimously to bar shipments of coal through a proposed marine terminal on Monday, setting the stage for a legal battle. The prospect of train cars carrying millions of tons of coal mined in Utah through Oakland before heading to Asian markets has inflamed passions in the city. Opponents argue it will harm health and exacerbate climate change. Proponents say it will provide good jobs in an impoverished area. And I say it is none of the damn business of these petty dictators to decide what and where stuff gets shipped, especially if it is legal product. New data from Dawn now suggests that the bright spot in Occator Crater on Ceres contains the highest concentration of carbonate materials found so far outside of Earth, and was caused by recent hydrothermal activity. De Sanctis’ study finds that the dominant mineral of this bright area is sodium carbonate, a kind of salt found on Earth in hydrothermal environments. This material appears to have come from inside Ceres, because an impacting asteroid could not have delivered it. The upwelling of this material suggests that temperatures inside Ceres are warmer than previously believed. Impact of an asteroid on Ceres may have helped bring this material up from below, but researchers think an internal process played a role as well. Finding out what’s in it: Because of Obamacare, Blue Cross Blue Shield is losing money in states across the nation, forcing them to request rate increases of more than 50 to 65 percent. If the federal government does approve these rate increases, expect most oif their customer base to vanish. If they don’t get these rate increases, expect them to abandon the market in those states. So much for Obama’s promise that Obamacare would bend the cost curve downward, cutting rates by $2500 per family. Too bad no one told him his numbers were completely bogus and that Obamacare would increase everyone’s cost, and possibly destroy the health insurance industry. Oh wait… that was what those evil tea partiers and conservatives were saying. My two hour appearance on the Space Show with David Livingston is now available as a podcast and can be downloaded here. I spent the first half hour outlining the general conclusions drawn by me in writing my policy paper, Exploring Space in the 21st Century, for the Washington think tank, the Center for New American Security. I then spent most of the rest of the show discussing and debating my conclusions with various callers. If you want to get a taste of what that policy paper will say, you should definitely listen to this podcast. The political leaders of both the European Union and the countries that belong to it have consistently defied the voted wishes of the electorate. In fact, the European Union as we know it today was built on a series of rejections of public votes. When the Danes in 1992 declined to accept the Maastricht treaty — which paved the way for a more integrated political union — the European Union made some concessions and then staged a second referendum in which voters finally approved of it. The same happened in 2001, when the Irish rejected the so-called Nice treaty as the bloc expanded eastward, and in 2008 when they opposed another treaty over further E.U. integration. Last year, Greek voters rejected bailout conditions proposed to the country by the European Union. But the leftist government in Athens ended up agreeing to most of those conditions anyway. Earlier this year, the Dutch voted against closer ties between the E.U. and Ukraine — a decision which was interpreted as a backlash against the hard-line stances of many E.U. governments toward Russia. The Dutch government is now considering to simply ignore the outcome of this referendum. In other words, according to these preening self-righteous and power-hungry bureaucrats, to hell with democracy. We are your betters, and we will decide what you get, regardless of how you vote. I suspect that, more than any other factor, it is this sorry history that drove the citizens of the UK to reject the European Union last week. Fascist: A British journalist asked her readers today to consider whether they’d kill the leader of the UK’s movement to leave the European Union. A journalist working for the Telegraph has asked her Twitter followers to consider if they would kill UKIP leader Nigel Farage, comparing him to Nazi leader Adolf Hitler. “You know that time travel conundrum: would you kill baby Hitler? Same but Nigel Farage”, wrote Catherine Gee, who claims to have been “writing about culture for the Telegraph since 2007”, and has also written for the Guardian, Western Mail and Clash. She has deleted the tweet, but only I think because it embarrassed her, not because she realized how barbaric it was. Worse, she is not alone. Over the course of just a few hours, Breitbart London uncovered hundreds of tweets and Facebook updates dating back as far as 2010, with some as recent as last Thursday afternoon after Member of Parliament Jo Cox was murdered. The revelations go some way to shattering the narrative that “hateful” or “aggressive” rhetoric emanates from only one side of UK politics. Most of the messages listed below are from younger people, and Breitbart found that most were either Liberal Democrat, Scottish National Party, or Labour Party supporters. Most of them also expressed pro-European Union sentiment and were overwhelmingly supportive of the ‘Remain’ campaign at the European Union referendum. Basic level searches under the search terms “shoot Nigel Farage”, “stab Nigel Farage” or “kill Nigel Farage” reveal hundreds of messages, some of those in fact with further messages of support for the notions in the replies. Freedom and democracy cannot stand if it is considered acceptable to call for the murder of your opponents. The competition heats up: Blue Origin has broken ground on a Florida factory for building its orbital rockets. At 750,000 square feet, the new custom-built facility is designed to be large enough to accommodate manufacturing, processing, integration, and testing of orbital rockets. To put that size in perspective, SpaceX’s rocket facility in Hawthorne, California is nearly one million square feet. Bezos stated that the entire rocket would be manufactured in this facility with the exception of the rocket engines themselves. What this means is that Bezos is satisfied with the results of the test flights of his suborbital New Shepard spacecraft, and is now ready to upscale to a orbital rocket that would compete with SpaceX and everyone else in the increasingly competitive launch market. The competition heats up: Russia’s space agency Roscosmos has reactivated the design team for developing a reusable first stage with wings that would return to a runway like an airplane. They have put in charge of the project the designer of Buran, their Soviet-era space shuttle, and are trying to reassemble his team for this work. With Russia, proposals like this should only be taken seriously when they actually start test flights.Too often the Russian government,.like NASA here, announces big plans, but fails to figure out how to build anything at a cost anyone can afford. I sometimes think that the reason Einstein’s equation, E=MC (squared), is so memorable is that in English the sound of the equation, when spoken, has a poetic rhythm to it. Embedded below the fold. Batchelor’s title focuses on our Russian discussion, but I also talked about the Chinese space program, NASA’s proposed satellite refueling mission, and a whole bunch of recent planetary discoveries. Now the fourth amendment is under attack: A federal court has ruled that the police have the right to hack into your personal computer, in your home, without a warrant. The implications for the decision, if upheld, are staggering: law enforcement would be free to remotely search and seize information from your computer, without a warrant, without probable cause, or without any suspicion at all. To say the least, the decision is bad news for privacy. The Democrats want to nullify the first, second, and fifth amendments. A federal court wants to nullify the fourth. It seems to me that the Bill of Rights is increasingly not worth the paper it was written on. An evening pause Some good stand-up comedy to lighten the first half of the week. Geologists have discovered a gigantic new field of underground helium gas, located in Tanzania’s Rift Valley. Researchers figure there’s about 54 billion cubic feet of helium in just one section of the valley. To put that in context, the Federal Helium Reserve in Texas, which supplies more than 40% of domestic helium needs and contains about 30% of the world’s total helium supply, right now holds about 24.2 billion cubic feet, per Live Science. The discovery is also important in that it wasn’t an accident. The geologists located the helium based on their theories of where they should find it. The competition heats up: Orbital ATK today successfully test fired the solid rocket booster it is building for NASA’s SLS rocket. This was the booster’s second static fire test, and according to Orbital ATK, now qualifies it for use in the first flight of SLS in 2018. The sun has now been blank of sunspots for five days, the longest such stretch since 2010, during the last stages of the last solar minimum. Nor is this blank stretch over. Though I have no doubt that sunspots will return to the Sun in the next few days, this sudden arrival of blank days suggests again that the solar maximum might be ending far sooner than presently predicted. The competition heats up: NASA has approved plans to launch Restore-L, a robot mission in 2020 to refuel a satellite. This mission is being spear-headed by the division at the Goddard Space Flight Center that ran the repair missions to the Hubble Space Telescope, as well as the recent robotic refueling demonstrations on ISS. With the success of those demonstrations, NASA has obviously decided to move forward with an actual flight.